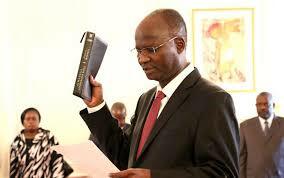 THE Zimbabwe Association of Doctors for Human Rights (ZADHR) yesterday criticised Higher and Tertiary Education minister Jonathan Moyo for “recklessly” insinuating that prolonged intake of anti-retroviral drugs (ARVs) could cause vomiting and diarrhoea. In a statement, the association expressed fear that Moyo’s “reckless” utterances on Twitter could promote stigmatisation and lead some patients on HIV treatment to discontinue their treatment for fear of the alleged side effects. Moyo, who is embroiled in a nasty factional fight with Vice-President Emmerson Mnangagwa, at the weekend insinuated that the Vice-President’s vomiting at the Zanu PF youth interface rally in Gwanda two months ago could have been induced by excessive intake of antibiotics or ARVs. ZADHR said the sharp-tongued minister’s remarks could be wrongly interpreted as true. “The Zimbabwe Association of Doctors for Human Rights condemns in the strongest of terms the recent statements allegedly made by Prof Moyo on his Twitter account,” ZADHR said. The group added: “ZADHR maintains that as the country strives to achieve its HIV 90/90/90 targets, such irresponsible, unrestrained and misinformed assertions on ART that lead to a pervasive fear of ART usage must be publicly rebuked. “The minister, whose portfolio spans over the higher and tertiary institutions including the prestigious College of Health Sciences in Zimbabwe, is strongly advised to seek information and knowledge from the rich body of knowledge and research on HIV and Aids before making insensitive remarks on social media.